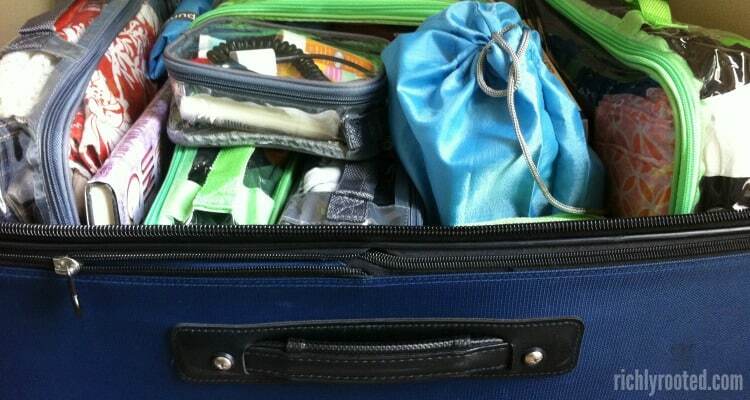 Get ready for family vacation or a weekend getaway with these travel tips for simple packing! This post is sponsored by EzPacking, a company which I’m so excited to introduce to you! All opinions are mine. A successful trip begins before you leave home. And no matter what’s on your pre-trip to-do list, everyone has to pack at some point. Are there ways to simplify the packing process–and your suitcase–so you can set yourself up for a good road trip or a relaxing vacation? 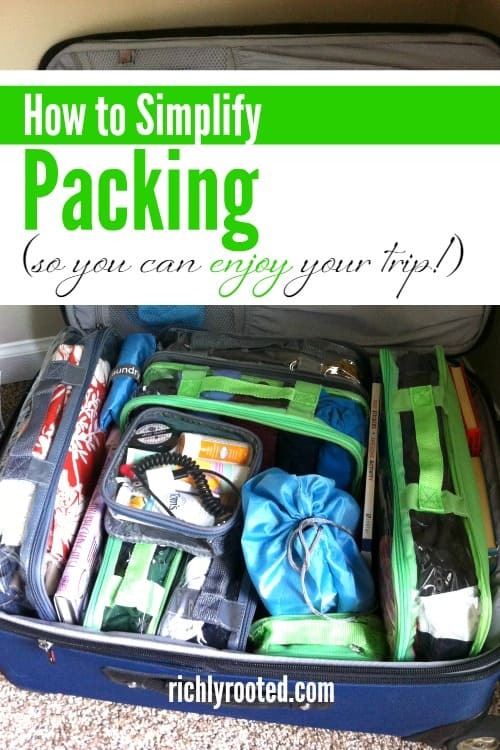 With thousands of miles, dozens of states, and several countries under my belt, here are some of my favourite and most effective ways to simplify packing, no matter what your destination! One of my goals this year is to pack well in advance of any trip. Do your need-this-for-the-trip laundry several days ahead of time, pull out your suitcase, and pack as much as you possibly can before you tend to those never-ending pre-trip chores. You’ll find that the final hours before departure are much less stressful. If you want to pack a pretty suitcase you can read packing tutorials galore–the internet has plenty! But what these tutorials fail to tell you is how to keep that suitcase looking tidy throughout your trip! I’m a pretty neat person, but my suitcase is always disheveled and rummaged after just a night or two away. On longer trips, I often have to repack my suitcase multiple times! 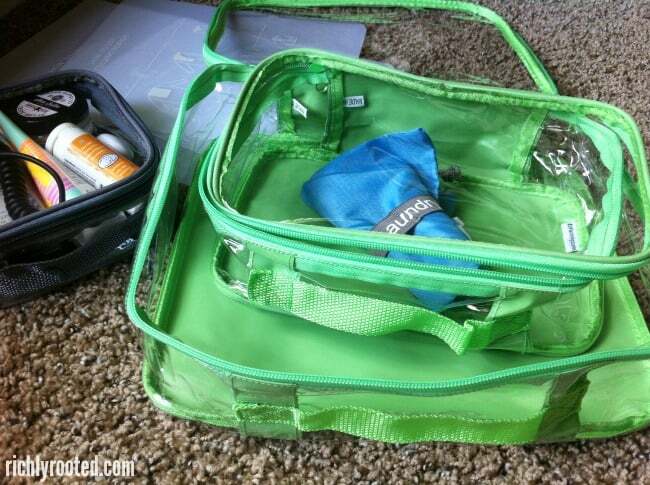 I was not familiar with packing cubes until just a few months ago, when I discovered EzPacking and saw what a huge difference they can make for staying organized while traveling. EzPacking’s travel cubes allow you to maximize space in your suitcase and keep all of your clothes and accessories easily accessible. The cubes are made of clear, durable plastic with colorful edging that lets you color code for each family member. EzPacking sells cubes in a variety of sizes so you can mix and match for any piece of luggage you need to pack. As I show in the top picture, you can line up the cubes in your suitcase vertically (rather than lain horizontally) to use suitcase space that’s normally wasted. Tuck your books between the cubes to create even more structure. (I’m not the only one who used to crush my clothes under a weight of reading material, am I?) During your trip you’ll easily be able to see what’s inside each cube, and pull one out without wrinkling the rest of your clothes. There are tons of options for utilizing EzPacking cubes! Here are a few suggestions of ways to use them. Group various types of clothes together–socks and underwear in one cube, tops in another, jeans and shorts in another, etc. Give each familiar member a large and small cube in their chosen colour. Put clothes in the large cube and accessories in the small. Use a few medium cubes to organise clothes by day. 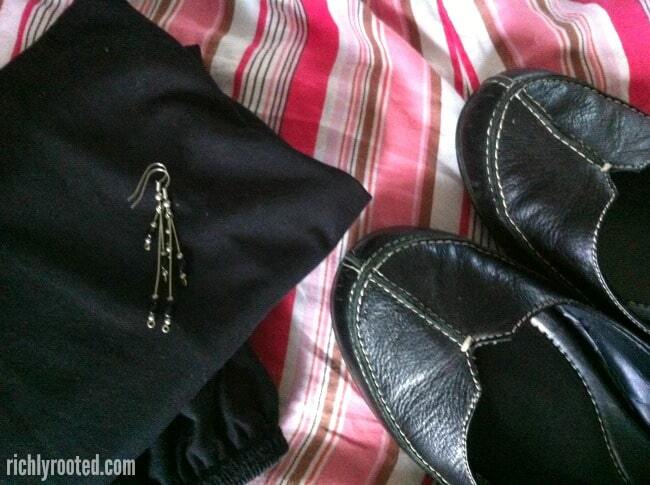 Put complete outfits–underthings, top, bottom, jewelry–in each cube so you can easily grab one every morning! Use an extra small cube to store toiletries, medicines, and liquids that you’ll need to pull out at the security checkpoint. Pack clothes in a large or medium cube and use another cube to hold travel entertainment (books, magazines, snacks, headphones). It will be much easier to pull out one cube during flight instead of rifling through your whole bag. 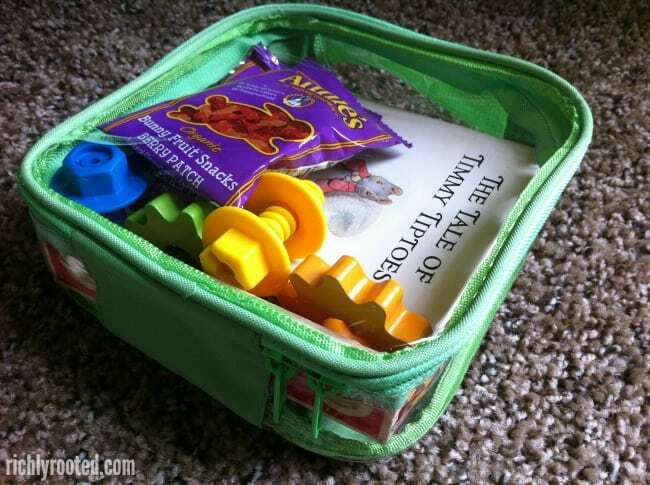 Packing cubes make great travel entertainment kits for your kids! EzPacking offers other packing accessories like shoe bags, laundry bags, folding boards, and a duffel bag that folds up extra small when not in use. 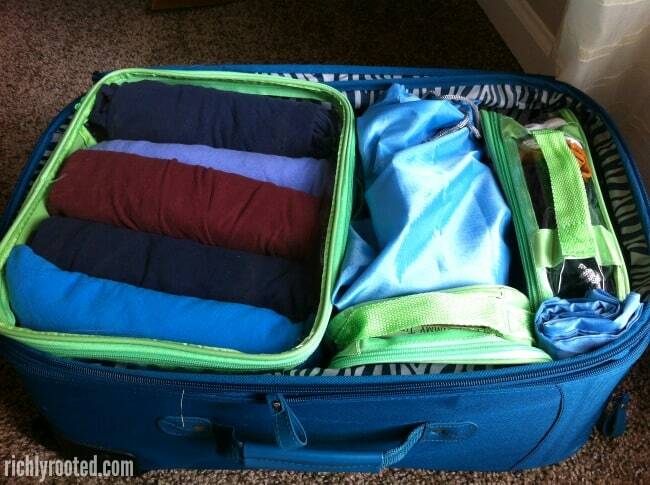 The bags and duffel are washable, so just toss them in with your laundry at the end of your trip! EzPacking sells the cubes and accessories separately so you can build your collection over time, or you can buy them in a set to save money upfront. The Starter Set is perfect for a carry-on sized suitcase and includes a large, medium, small, and extra small cube. The Complete Bundle includes two of each of these cubes, plus a duffel, folding boards, 2 shoe bags, and 1 laundry bag. EzPacking is graciously offering a coupon code exclusively for my readers! Visit this page to shop, and use the coupon code RichlyRooted15 at checkout! When you’re not using the cubes you can collapse them to save storage space. You can also re-purpose the cubes around the house to organise craft items, first aid supplies, or kids’ toys. I’m personally planning on using them to organise the toys in Little Dude’s closet (when we don’t need the cubes for a trip!). A few days (or even weeks) before your trip, make three packing lists in your list journal: one for you, one for the kids, and one for family/shared items. (You can encourage your husband to make his own, if you like!) Write down everything you anticipate needing on the trip. Be sure to include the obvious things you think you’ll remember, like the baby’s blankie or your sunglasses. The to-do list always piles up before a trip, and it’s scary easy to forget something. Declutter your pre-trip brain by getting your packing list down on paper, and then you can scan it quickly when you’re gathering the items or doing a final check before leaving. After your trip you can transfer the lists to Evernote or a file on your computer, adding any other items that occurred to you during your vacation. Use the packing lists as templates for future trips. Select one neutral colour (black, navy, camel, brown, etc) and only pack clothes that you can match with this colour. This might sound limiting, but it’s actually very versatile because you’ll have many more outfit combinations. Since I already have lots of black anchor pieces in my wardrobe–flats, cardigan, pants, skirt, etc–I usually pick black for my neutral. After you select your base colour, packing the rest is easy. Just select clothes and accessories that will combine well with your neutral! What are your best simple packing tips?